SW8NAC, Anna in the father's shack (SV8CS) , after the QSO with KP4AO. 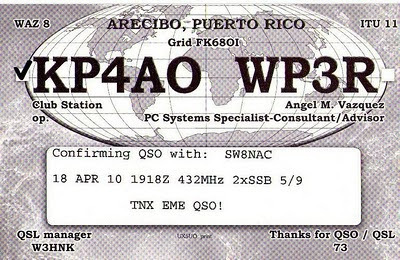 Anna, SW8NAC she is the youngest ham radio operator worked Arecibo via 432 Mhz EME in SSB mode. Anna has 4x25 elements on 432 for EME activity. 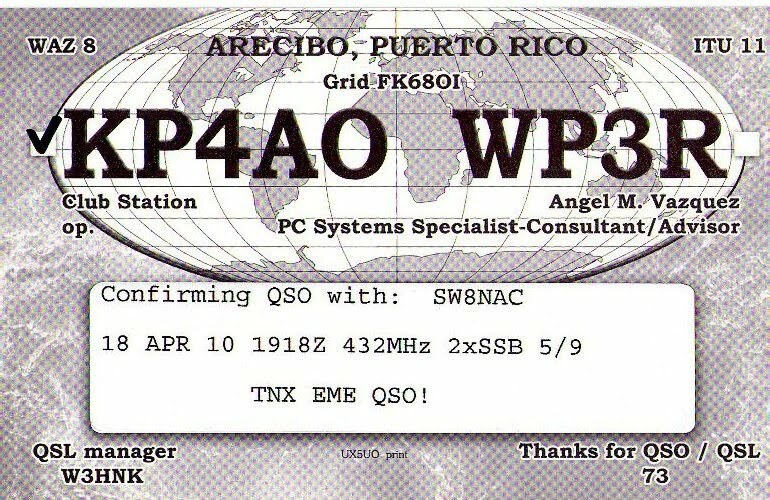 Here is the QSL card received from QSL manager W3HNK. I made also an SSB qso with KP4AO (432 Mhz EME) but unfortunatelly ... the answer from QSL manager was...SV8CS, you are NOT in the log !!! So, lets try next time.